If you've ever wondered what happens when you cross the American pronunciation of the letter 'z' with a presumably German chemist with a penchant for gambling, wonder no more. Playzee is the answer. 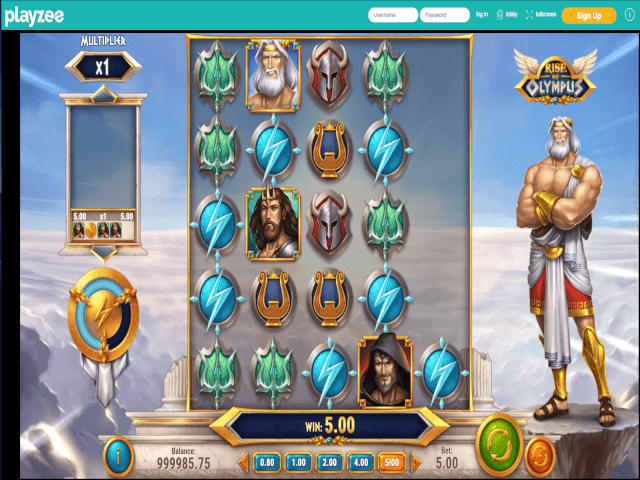 Zeegmund, as he's known, has one goal in life: to create the perfect gaming formula by mixing up a huge amount of slots for you to enjoy. The site is run by White Hat Gaming, which is based in Malta, and has live casino and table games in addition to slots. Let's take a look and find out whether this is a revitalising elixir of an online casino, or a vial of hazardous waste. 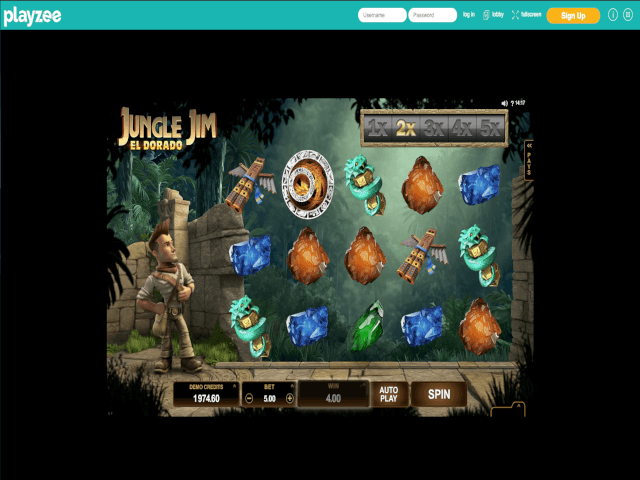 With over 40 software providers onboard, including big hitters like Microgaming and NetEnt, Playzee is certainly off to a good start. As well as the well-known industry leaders, there are also games from developers including Sigma Gaming and Yoloplay. You'll also find titles from Thunderkick, Red 7, Realistic and Quickspin. In terms of design, Playzee is simple but effective. The turquoise and yellow colour scheme works well, as there's a sense of fun and excitement there without it being too bright or hard to look at as you browse the site. The artwork is sharp and snappy, with Dr Zeegmund happily brewing his gambling potions. This streamlined design makes it very easy to find what you're after too. 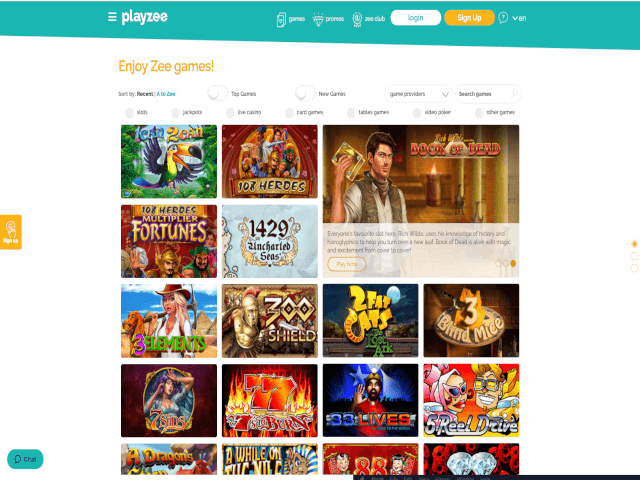 It echoes most other sites as well, so if you've used an online casino before you should have no problem getting around Playzee. You can select games by provider too, and types of games are also selectable, which is very handy. One problem is that some of the selectable buttons (especially for game types) are not highlighted or in a contrasting colour, which would have made them a bit easier to spot from the outset. There are around 1,000 games to play at Playzee, so chances are you won't run out of new slots to try. There's also a good mix of game types, so if you prefer more traditional online casino games or card games, you'll still have lots of choice here. Couple that with the huge amount of software providers that supply the site with titles, and not only do you have a large selection, it's a varied and interesting one too. There's everything from classics like Starburst to lesser-known slots like 108 Heroes. Does Playzee Offer Progressive Jackpot Slots? Yes, you can play progressive slots at Playzee. There's Mega Moolah, Isis and Apollo, to name a few. Overall, the progressive slot selection is pretty good, so you'll be well catered for if you like to chase the big wins once in a while. 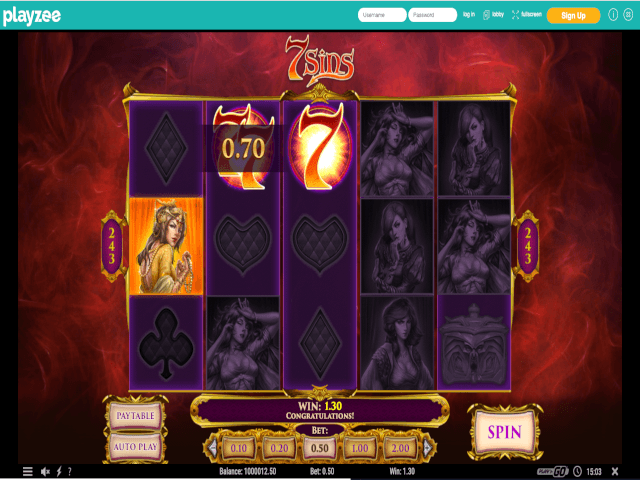 Can Players Demo Playzee Casino Slot Games for Free? Unfortunately, there are no free play games on the site. Every title only has a 'play for real' option, which also means you need to sign up and register before you have access to any games. There are lots of options when it comes to deposits and withdrawals here, which makes things nice and easy for punters. In addition to Visa and Mastercard, you can use Skrill and Neteller (generally the fastest options), as well as paysafecard and Trustly. Playzee certainly doesn't skimp on the promotions and exclusives, which is good to see. You'll be able to take advantage of new member offers and signup bonuses, although these aren't anything particularly new – free spins and bonus percentages back on your initial deposit are generally what's on offer. There's a VIP scheme which means you can still take advantage of offers and promotions even after you've joined. You can unlock higher tiers of the VIP scheme, and the bonuses they offer, by accumulating Zee Points as you play. There's a live chat feature on the site, as well as a support email address for any problems or queries you might have. You can also find a fairly comprehensive FAQ section which covers most of the basics, including how withdrawals work and how to get started. A contact number would have been a nice addition as well however. When it comes to security, as with most online casinos, Playzee uses encryption to protect the site and players. The site is also regulated by both the UK Gambling Commission and the Malta Gaming Authority.